Shamballa bracelets are linked to the Buddhist, Tibetan and Hindu cultures, attaining its name from the traditional mythical kingdom. 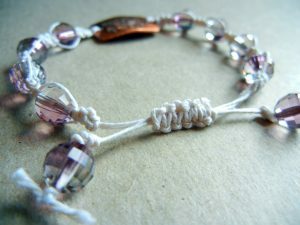 Designed by following the macramé techniques of threading or knotting their traditional usage mostly confined to meditation. 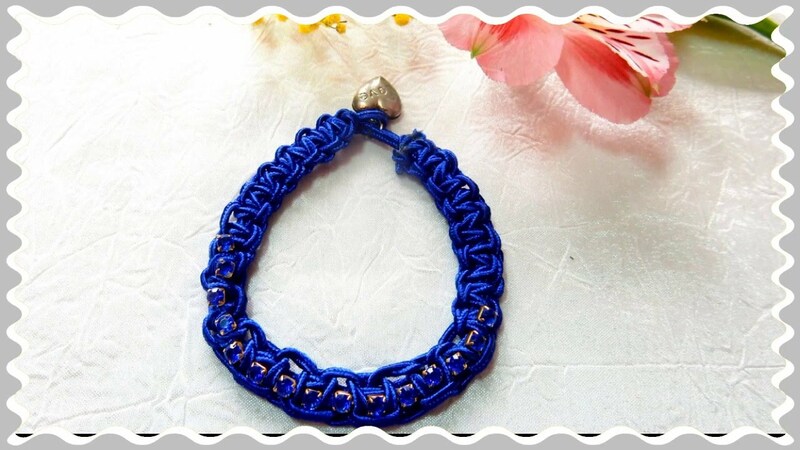 If you desire to combine tradition with style, then have a host of these unique bracelets in your kitty by going through the given tutorials. You may opt for a kit so that you have the required materials and supplies at hand. The array of colors it comes in has a meaningful significance. Research suggests that besides the eyes our other body parts are sensitive to various wavelengths of light indicated by several colors. Black stands for mystery and power, red shows passion, green means renewal, growth and forgiveness, white denotes clarity and purity, orange represents sensuality, while violet is associated with spirituality and bliss. 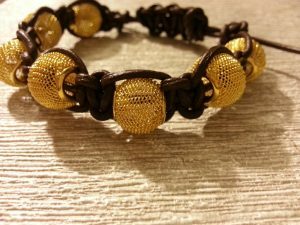 You can replace the beads with natural stones like emerald, diamond, hematite or jade if you intend to wear the bracelet for maintaining a sound health. For an authentic appeal, you may use wooden rosary beads. Melting the ends of the thread prevents it from getting worn. You can make this white Shamballa bracelet with precious crystal balls or even diamonds ( real or faux) for your best pal on her wedding day so that peace, strength, and happiness may prevail upon her always. 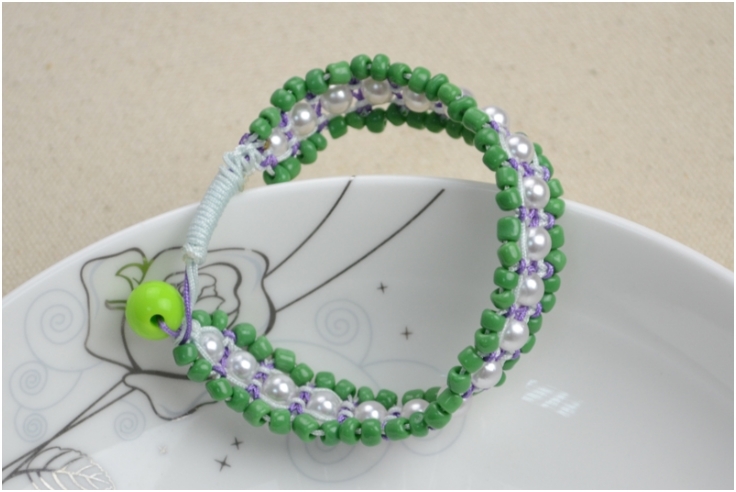 While threading a bead at the two ends gives it a full finish, you can also choose to leave it simple with just the knots. The chocolate-patterned bracelet would be an ideal Valentine’s Day gift for your man. 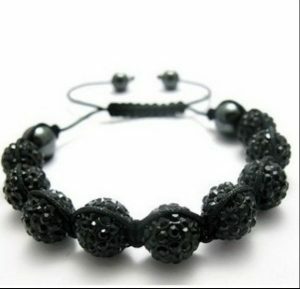 If you desire to add a formal touch to your bracelet, then go for a black cord with black beads. 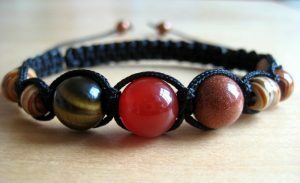 For a masochistic appeal choose beads or jewels of hematite or silver. With black signifying strength and authority, this bracelet made of crystal balls would indeed be an ideal gift for your man. 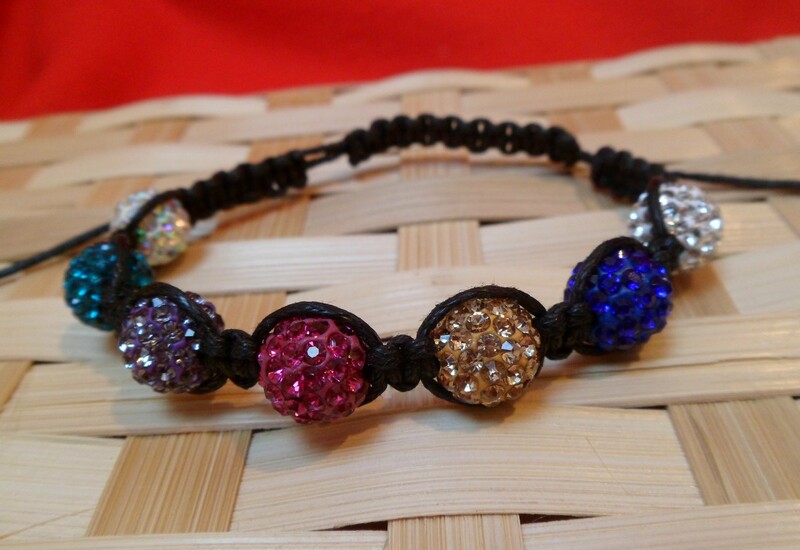 The multi-colored beads give shape to a cool-looking rainbow bracelet. To give it a unique approach alternately arrange big and small beads. 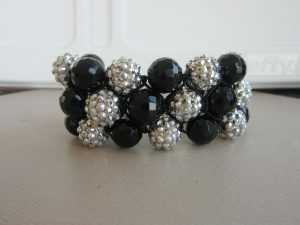 The black and white beads add an elegant charm to the bracelet. For an innovative effect, you can add small rhinestones in between each bead. The printable instructions provided in the DIY would make it easily understandable. Go for a black and gold combination if you want strength and authority to blend with confidence and optimism. Tying odd-numbered knots between the beads like one, three, five, etc. would make it look appealing. If you want a modern design then instead of yarn or string you can macramé on a leather cord. 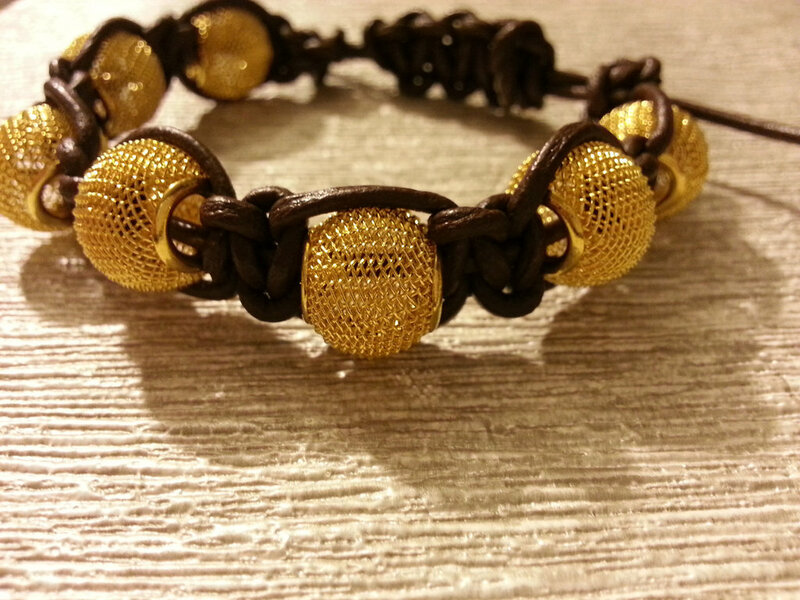 You can weave it into gold plated beads for a gorgeous appeal. You can go for a host of designs like shaping the beads into a flower and then attaching the cord or yarn. 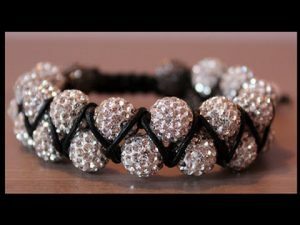 If you are a pro at bracelet making then move a step ahead and try your hands at making Shamballa bracelets using two rows of beads as shown in the video. 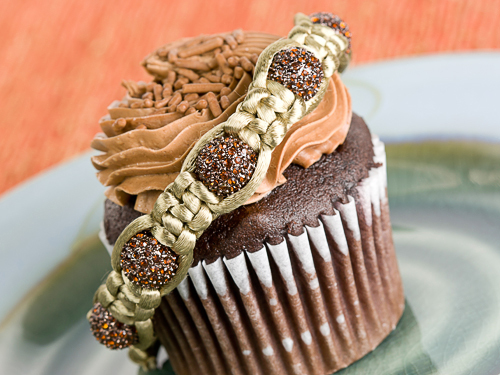 For an intricate design weave three cords together in a braided pattern to form a triple bracelet design. The skull-patterned beads, when woven into yarn, would make for a perfect Halloween accessory. 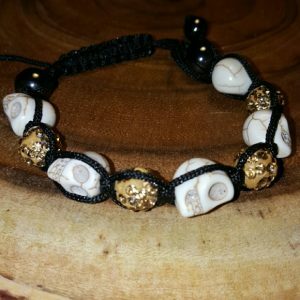 You may even opt for the evil eye beads and weave them into enticing bracelets to keep all the demonic glares out of your reach. If you are pondering what to make for your best pal’s newly born princess, then a Shamballa bracelet possibly of pink color as shown in the image below would not be a bad idea. The combination of the dark and light pink crystal balls create a stunning visual impact. 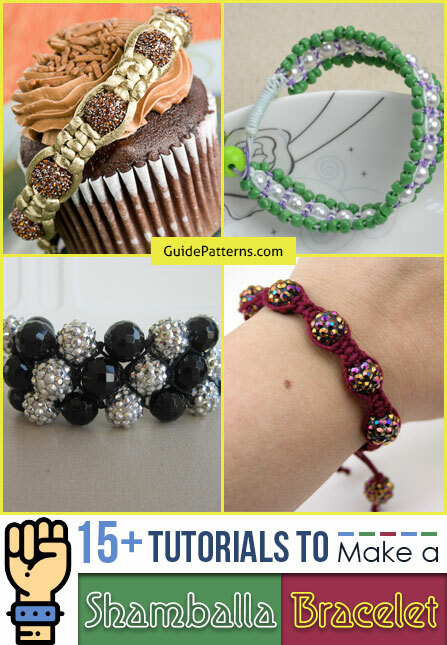 The pattern shown in the tutorial would guide you in making this cute bracelet. 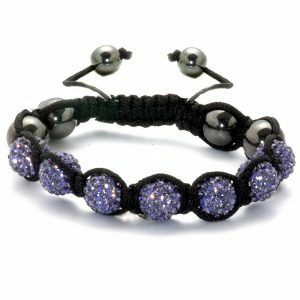 Just like the beautiful pink bracelet you can try your hands at a cool purple one as this color symbolizes true companionship, being by you as your good luck charm, helping you to be free of stress. 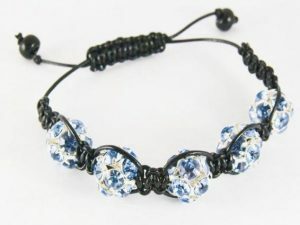 Going by the traditional usage, a blue Shamballa bracelet can be worn for spiritual healing as well as to improve your creative and communicative skills. The beads embedded within the thread enhance the charm of this bracelet. 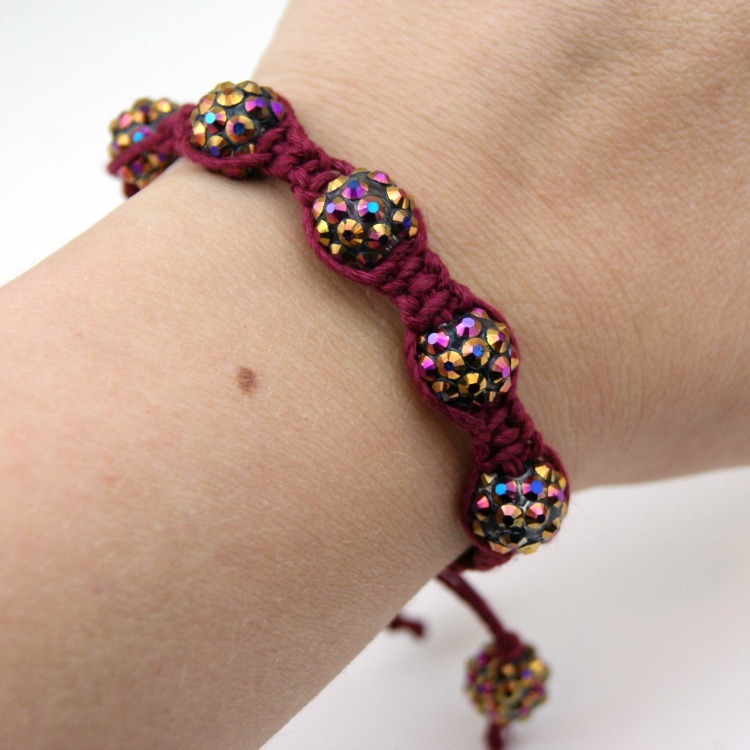 The fuchsia colored tiny beads add to the splendor of the bracelet. The fabulous combination of seed beads and pearl make it a perfect Mother’s day gift. 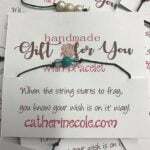 If you are planning to give it to your best pal who is passionate about pink, then replace the green beads with pink ones. 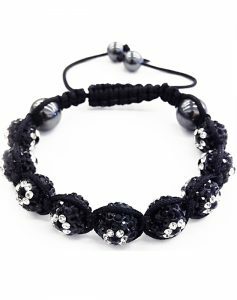 Shamballa bracelets because of their strong traditional inclination are gaining increasing popularity over the years, with notable celebrities like rapper Jay-Z and German designer Karl Lagerfeld, donning this stylish jewelry perhaps to blend good luck with style.